The votes have been counted and the results are in, but this year's election in Algeria can be defined as one of scepticism and distrust, mixed with the confidence and fraudulent pride of political figures tone deaf to widespread sentiment. Despite the first ever introduction of an independent electoral commission, around 385 irregularities were brought to the attention of the commission's head Abdelwahab Derbal, and dozens of cases of fraudulent actions recorded and uploaded online. Around 23 million Algerians are registered to vote but turnout has failed to cross the 40 percent mark in recent years. Yesterday's turnout came out to 38.25 per cent, lower than in 2012 and only slightly more than the meagre 35 percent in 2007. Even a 38 percent turnout is surprising, and suspicious, considering the amount of people who boycotted the election. Aside from a few clashes, road blocks and arrests of dissidents, the 44,000 strong police deployment made sure the handful of mainly middle-aged Algerians voted under the best security arrangements. Ruling Algeria since independence in 1962, the ruling National Liberation Front and its national alliance with the National Rally for Democracy, led by Bouteflika's senior advisor Ahmed Ouyahia, were able to gain a majority of seats. The FLN won 164 seats in the People's National Assembly out of 462 in total (a sharp decline compared to 221 in 2012). Their coalition partners RND won 97 seats (an increase from the 68 seats won in 2012). 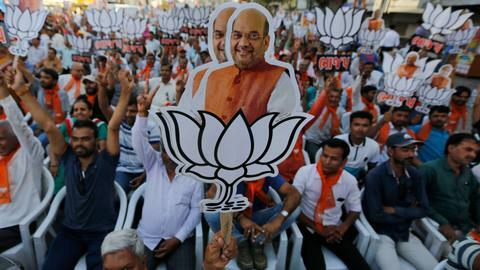 Both parties however noted a poorer performance in the capital where they expected higher gains and the decline of the leading FLN by 50% indicates the party's fall in popularity. The secular Rally for Culture and Democracy has performed disappointingly with only 9 seats compared with 14 seats won by the Social Forces Front and the Islamist coalition was able to obtain 33 seats – a poor result by the Algerian Green Alliance Islamist coalition. 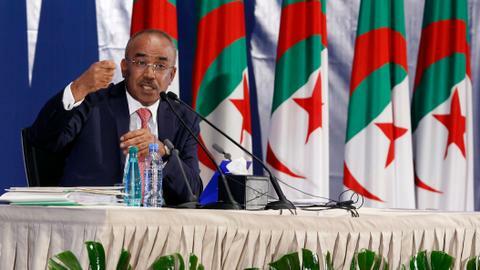 The Islamic formations of the coalition alongside Ennahda and the Algerian Party of Hope (TAJ) are nevertheless the third political force in the country, with a total of 67 seats. 32% of female candidacy have also been voted in, just about honoring the quota of their expected political participation in parliament. Algerian authorities have tried desperately to entice Algerians to vote this year with giant posters erected around the country urging people to "make their voices heard" and officials travelling from city to city reminding Algerians of their "duty" in doing so but with little luck. Indeed, the whole process has often cemented Algerian sentiments that they are being played. Prime Minister Abdelmalek Sellal's comments last week to a women's gathering in the city of Setif telling them to refuse their husbands coffee if they do not vote or to "beat them with a stick" may have been met with laughter but it reiterates a reality where politicians are completely out of tune with their civilian counterparts. Despite exhaustive efforts to make yesterday count, campaigns from young Algerians on social media that went viral with the message of #mansotich (a play on words to mean "I will not vote"), are more representative of Algeria's socio-political climate. Calling out the acute housing shortage, high unemployment and a crumbling healthcare system, abstention certainly spoke louder than words yesterday with young faces hardly present at polling stations. The youth choose to create roadblocks to major cities and posted cases of fraud on social media. Confined to a wheelchair since 2013, President Abdelaziz Bouteflika is likely to wave goodbye to his final election due to his ailing health. In a rare public appearance yesterday, the visuals of the frail frame of the president barely able to place his card in the box symbolised the fragility of hope in the country. The hopes of a more "transparent" election were encouraged by the absence of the notorious former head of the Intelligence Service (DRS), the maker or breaker of politicians, Mohamed Mediene. The election was also supposed to have been distinct from previous years by the introduction of an independent electoral commission. 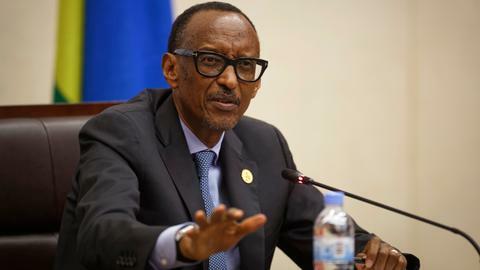 However, the small body drew criticism from the onset for being inadequate in its monitoring of the campaigns from 48 provinces and over 60 parties. However, having 300 impartial observers and an independent commission are all measures made in vain when the electorate is more interested in the result of the French elections than the outcome of their own. According to critics the international observers have acted as nothing more than a political show to simply observe, with the cases of fraud and rigging still prevalent. Ultimately, responsibility lies with the political parties in ensuring that their members do not engage in the corruption that has rendered the whole process redundant. The emphasis on "stability" in this year's election ties in with overarching uncertainty of Bouteflika's succession – with concerns that the country may fall victim to actors scrambling to fill the ensuing power vacuum. Whilst critics have voiced their fears of Algeria's demise in light of the region's geo-politics, a drastic change to the ruling system is highly unlikely due to the influence of the political-military elite who have, arguably, backed the President's brother Said Bouteflika. Telling Algerians to "vote massively to reinforce political and security stability in the country" is a message that reinforces that the continuity of the current political apparatus is key to the country's security. Made up of nationalist groups, democrats, independents, Berbers and Islamists the diverse political scene should be thriving. The whopping 12,000 candidates fighting for 462 seats at the People's National Assembly may seem to present a plethora of choices. But when a general boycott is viewed as the best stance to take, it matters little what the 60 odd parties in Algeria have to say, particularly when they are banned from accessing the national electoral register and prevented from knowing the country's demographic makeup. Where 2012 saw mass boycotts by the opposition, this year fewer parties have adopted this as a form of protest and decided to take part in the electoral process instead. The few who called for a boycott, such as the New Generation political party lead by former Prime Minister Ali Benflis, maintain that participation is pointless when the opaque regime has already selected the winner. Largely fragmented and weak, the opposition has failed to make its mark with Algerians as competent forces able to provide solutions to the government's shortcomings. Failing to rally behind a single candidate on whom the hopes of the nation can be pinned on, means the opposition's performance is not surprising for Algerians with a lack of appetite in returning to a state of violence that plunged the country into civil war in the 1990s and too fed up to vote. The introduction of the multi-party system in 1989 allowed for competitive elections and greater plurality, previously prevented by the autocratic system. Fifteen elections and five presidential elections later, reforms may have elicited elite change but certainly not regime change. Easing the party registration process, greater inclusion for females and youth in the political sphere, establishing an independent electoral commission – means little when the process is still marred by authoritarianism. Restricting opposition figures, party financing and media freedoms births a fraudulent system manipulated by the authorities to retain legitimacy and supremacy. Though the opposition remains relevant, the system protects the power elite. The stakes in this year's election are much higher. 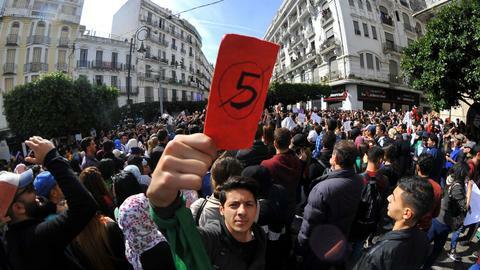 In 2012 the Algerian government was able to derail any descent into violence amid the protest movements of the Arab Spring, thanks to the stable economic climate buttressed by the generous subsidy system – that helped to maintain peace. Today, the tepid economy awash with social tensions and false assurances paints a more urgent picture, though not as perilous as the 80s and 90s that led to the Black Spring. The country's reliance on hydrocarbon-generated revenues that ran a budget deficit of 12 percent of its GDP last year, its foreign reserves steadily declining to $114bn and its oil revenues falling since 2014 to a record low $27.5 billion in 2016, are all stark reminders that diversifying the economy is more critical than ever. Choosing direct action as their language of communication with the government has proven more effective for their goals than using the conventional means of elections for their demands. Fairer distribution of its services and state resources, better opportunities in the public and labour sector and adhering to promises of improved reforms are expectations that the government cannot fulfil as money runs low. A lack of sincere inclusion of the youth in the political sphere creates further distrust in political institutions and serves to deepen the divide between the pre and post-independence generations. The ballot box simply represents an extension of the regime and encompasses the disillusionment of a country where half of the 40 million-strong population is under the age of 30. The historic elite who once carried the pride of the nation are now recognisable only by their incompetence. The Algerian government must adopt steps to counter such disinterest in the voting system and regain the trust of a people who are living in conditions that are ripe for slipping into a struggle for revolution. Continuity may have emerged the winner today, but security and stability Algiers relies on for maintaining its power is no longer an option Algerians will stomach as the looming crises become a permanent reality. 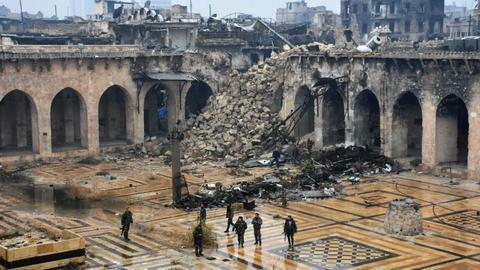 Yasmina Allouche holds an MA in International Conflict Studies from Kings College London. Yasmina is a Deputy Researcher and writer at the TRT World Research Centre with a focus on North Africa.